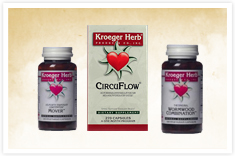 Hanna Kroeger's research, knowledge and insight led her to create many popular herbal formulas. She was truly a master of using subtle and unique combinations of herbs to improve the whole system of the body. These formulas are synergistically balanced to work naturally with the body on a physical and energetic level.